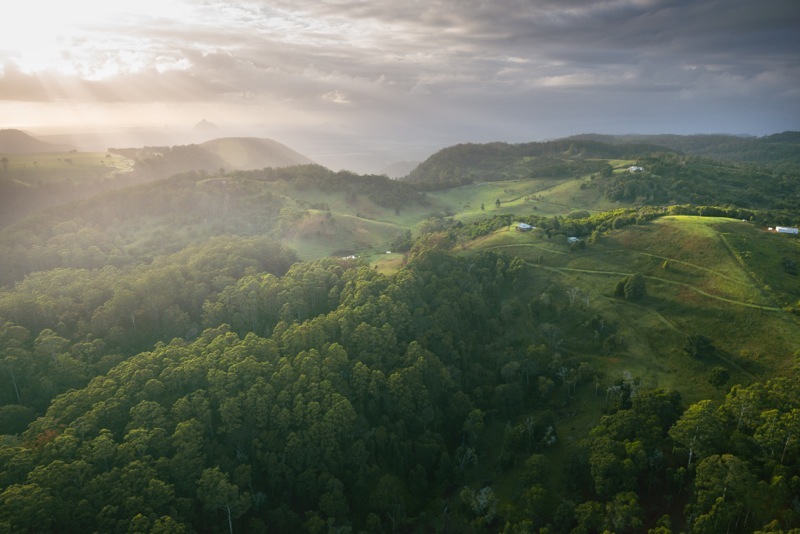 The charming town of Maleny is a treasure trove of local arts, award-winning foods, unique cafés and boutiques. Have a browse at the irresistible Rosetta Books or David Linton Furniture and grab lunch and live music at the Upfront Club. To stock up on supplies for your stay at Watersmeet, the Maleny Co-op is a good first stop for organic fruit and veggies, wood-fired sour dough bread and locally made consumables. Colin James provides specialty foods, great cheeses and coffee, while the purple Palate supplies interesting wines. The local IGA and Bushman’s Warehouse can fill the gaps for most other things. 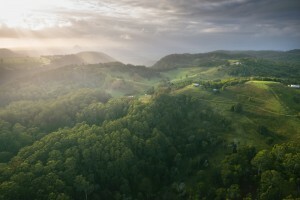 Only few minutes by car are the Maleny Cheese Factory and Maleny Dairies; further along towards Montville is the Tree Frog Art Gallery, where we sourced some of the art at Watersmeet. In the opposite direction, Woodford is another pretty town full of history and country charm. Stop by Elvis Parsley, the local fruit & veggie vendor, for a song and some great produce; the renovated local Hotel is worth a visit. Woodford is also home to the famous annual arts event, the Woodford Folk Festival. For the nature lover in you, the Glass House Mountains and Mary Cairncross Reserve provide breathtaking views and spectacular wildlife. The Blackall Range is full of charming country towns to explore. From Maleny, you can continue on to Montville, Mapleton, Kenilworth and Conondale for tea time, antiquing & good old fashioned browsing. Nature adventures abound, with national parks at Mapleton Falls and Kondalilla Falls and the beautiful Lake Baroon. You’ll have many spectacular trails and picnic spots to explore. The Australia Zoo, Big Kart Track and Aussie World are nearby attractions that are fun for the entire family. 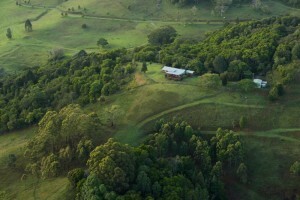 For some local wine-tasting, you can head to the Somerset Valley region of Kilcoy. The annual Urban Country Music Festival is always held on the Queensland Labour Day weekend in Caboolture. Golf courses are available in Beerwah, Mooloolah and Woodford. Somerset Dam and Lake Wivenhoe are perfect for any outdoor activity you can imagine – waterskiing, camping, fishing, hiking, canoeing, you name it. The stunning beaches of the Sunshine Coast don’t need much introduction. The closest are at Caloundra and Mooloolaba; stylish Noosa is not much further along. The famous Eumundi Markets are on every week on Wednesdays 8am-1:30 pm and Saturdays 6:30 am-2pm, rain or shine. There are 600 stalls of food, drink, art, craft, fashion, furniture, you name it. The local pub and beer also draws a crowd.